Cable Joints Cable Joints and Terminations up to 35 kV. 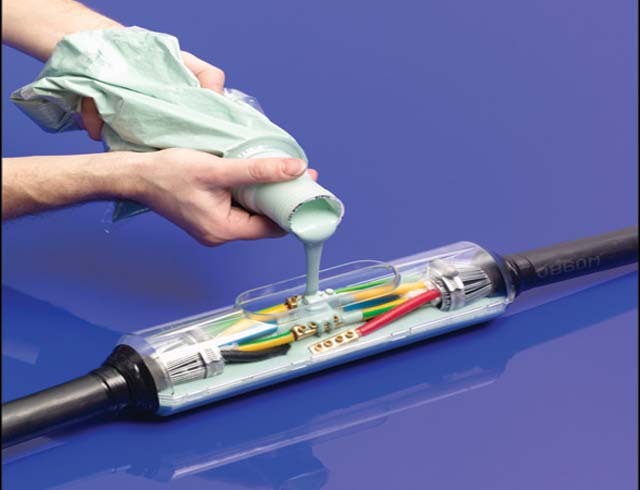 We offer a full range of products for a wide variety of applications using heat shrink, silicone, slip-on, plug-in and cast resin technologies which comply with the standard requirements for energy suppliers and the set industrial norms. The system components of all of our cable accessories are compatible so as to ensure safe and reliable functioning. As a result of intensive testing carried out in our laboratories, as well as numerous type tests carried out in international test facilities, we are able to guarantee an operationally reliable conductor connection, an adequate insulation level and excellent resistance against all environmental influences for all our cable accessories. All our medium voltage products are tested according to DIN VDE 0278, CENELEC HD 629.1, HD 629.2, IEC 60502-4 and comply with IEEE and BS requirements. We have solutions for every cable type and cross-section. Just get in touch with us and we will propose the required solution.